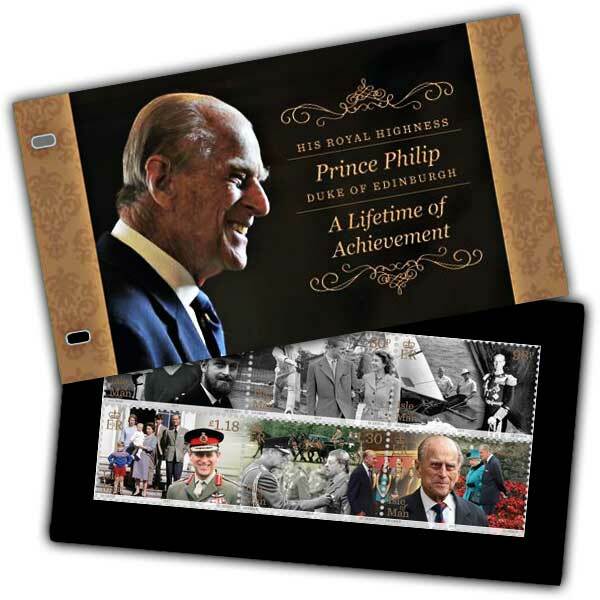 A life time of service is perfectly surmised in this attractive four page glossy presentation pack including a mint condition set of the 'Prince Philip-- A life time of Achievement' stamps. 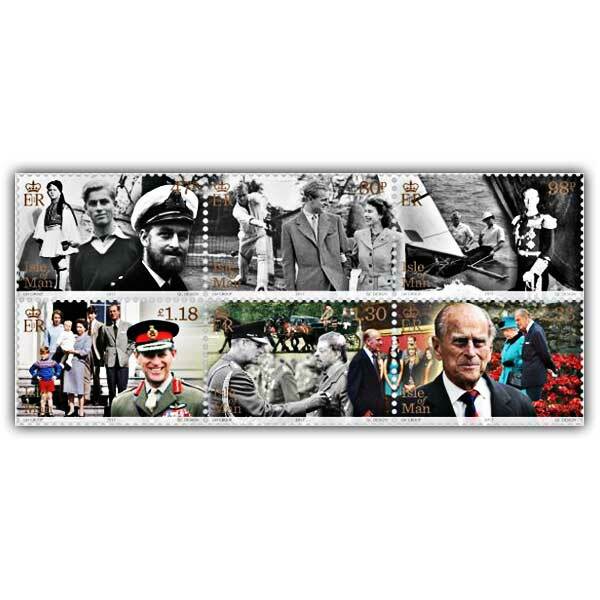 These six se-tenant stamps include images from across HRH, Prince Philip, Duke of Edinburgh's life; from his childhood to his Royal Navy profession, with his household and on royal responsibilities. Metallic gold is used on the royal cipher as well as on the stamp value making an eye capturing collection. The problem text was composed by the late Peter Jennings who was a member of the Royal Philatelic Society from 1966 until his death in 2013. The text was also contributed to by charity campaigner and Falklands veteran Simon Weston CBE.